Shiner has tried many different kinds of treats. One flavor she hasn't had yet is Duck. Duck seems to be a fairly common protein source for dogs these days, and it's sometimes recommended for dogs who have allergies. pawTree sent us some of their duck-flavored dog treats not too long ago. 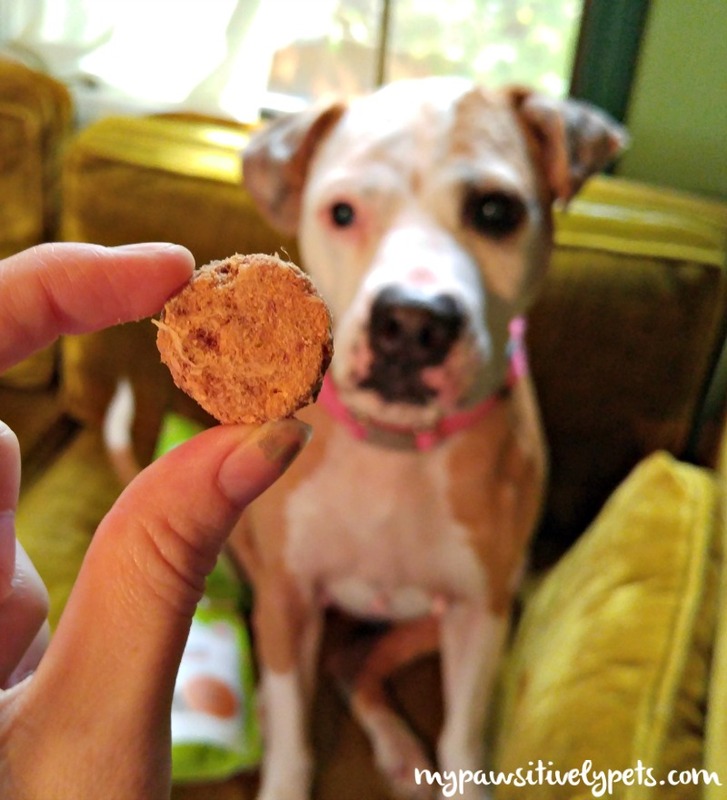 Shiner has been happily taste-testing two of their duck treat pawTreats products. We also have some to share with our readers today, so stay tuned for a giveaway! First of all, I love that both of these treats have very limited ingredients. Dry Roasted Duck Strips - Duck, lemon juice. Freeze Dried Duck & Orange - Duck, oranges. The pawTree Dry Roasted Duck Strips seem very crispy in texture, kind of like a potato chip for doggies. Shiner was eager to crunch hers up. The pawTree Dry Roasted Duck Strips are also a good size - not too big or small. Just right. 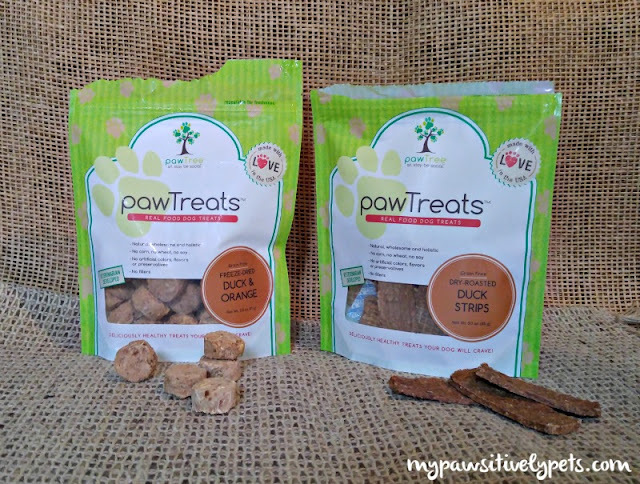 The pawTree Freeze Dried Duck & Orange dog treats are small, light, and airy. They break easily if you don't want to give a whole one at once, but will leave crumbs so be careful if you choose to break them up. Shiner had fun playing catch for her tasty Freeze Dried Duck & Orange treats. I think both pawTreats get 4 paws up from her! These duck dog treats are something you can feel good about feeding your dog and are an excellent treat choice for dogs with allergies. 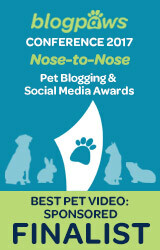 You can check out pawTree's full selection of pawTreats on their website. 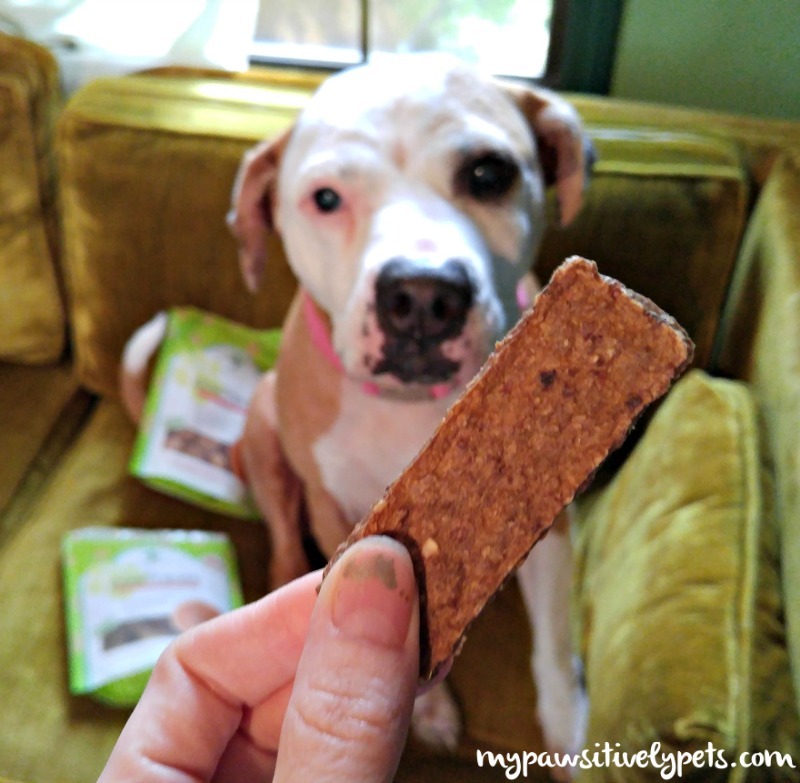 We are partnering with pawTree to bring you a super tasty and healthy giveaway! One person will in a bag of both treats featured in this blog post. 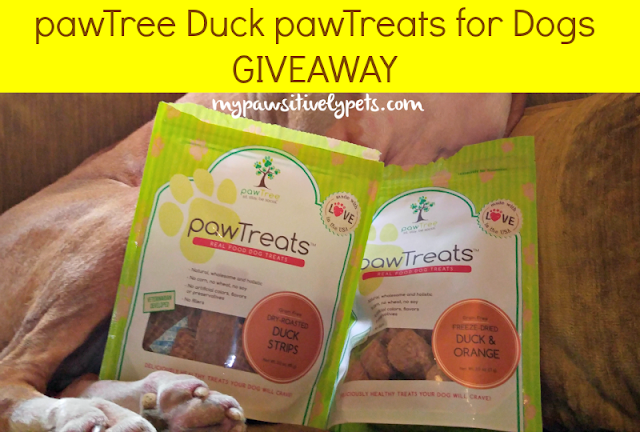 1 Bag of Dry Roasted Duck Strips pawTreats AND 1 Bag of Freeze Dried Duck & Orange pawTreats. This giveaway ends on November 1st, 2015 at midnight CT. US residents only (void where prohibited by law), ages 18+ may enter. To enter, just use the Rafflecopter form below to fill out as many entries as you like. They are not all mandatory, but the more you complete the higher your chances of winning. You can return to this blog post daily to tweet for even more entries too! Good luck! We received pawTree's pawTreats at no charge in exchange for an honest review. All thoughts and opinions expressed here are our own. nomy girls have never had duck, they have had venison, buffaloe, clams, but neve duck.i think they would like it. i was wondering abt the fat content though, since duck has more fat. Clams :) We haven't tried that before. The strips have crude fat content (min) 11%. In comparison to the chicken version, it doesn't seem to be too much higher in fat. The Dry Roasted Chicken Strips are labeled at 10%. No Schooner and skipper have never tried duck. I am sure they would love Duck? Oh boy! I know my huskies would just love these!! My 4 rescued dogs go crazy over duck treats. I have no idea why but it's their #1 most favorite flavor. No, not yet but I am sure she would love to by the look of how yummy they look! Yea, chicken and beef is popular. I try to avoid the two in foods. We've had duck jerky from another company and really liked it a lot. This is most certainly tasty. My two dogs have had duck treats from Zuke's and were quite pleased with them. Ace has tried duck treats before and he was a big fan! We have not had this brand of treats, however. Thanks for the opportunity to win! My guys love all treats but the duck flavor they seem to especially like. I remember reading about that Melissa! Hopefully a cool protein can help Shiner too. She's eating duck food right now too. Wow. VERY limited ingredients indeed! We like that concept, too!! I'm so sorry to hear that guys :( That's awful. Hope those humans are doing OK. I am having a tough time keeping up with everyone too but try to play catch up when I can. My lab has tried duck and loves it! My older dog has had duck, and loved it! It would be nice to introduce it to our younger little girls. No, my doggies haven't tried duck yet, but I'm sure they would be tail waggler treats. Yes Coco has tried duck treats before and she loves duck treats! 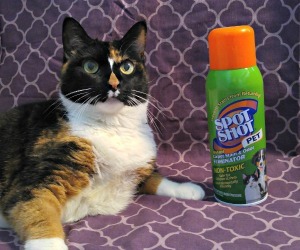 They are her favorite and good for her because she has severe allergies. Our new puppy has not tried Duck yet. She hasn't, but I think she would enjoy it. Yes....she's tried real duck and duck treats but not this brand. She seemed to really like the taste. My dogs have had duck canned food and treats. They love duck!! My dog has never had duck before. I think she would like it. Shelby has never had duck but says he wants to try them. Hazel has not tried PawTreats yet. As a matter of fact we never heard of them.But I know she would love to try them and give us her opinion. Not tried duck yet. Very expensive for 11 dogs. We have not, but I think they would love it! The crew LOVES duck! 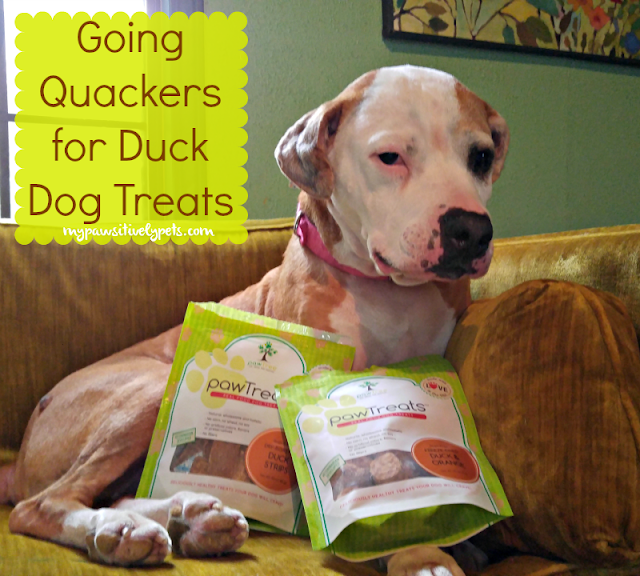 They have tried some of these treats and love them, and they have also had duck kibble at times. Yes, my dogs have had duck before and they like it! Nala loves duck treats and duck flavored foods. My dog has never tried duck, thanks. Yes, My dog has tried Duck before and he LOVES it! My dog has not tried these yet but he probably would love them! No my pups have never tried Duck treats of any kind. Thank you for the review, information, and giveaway. My dog haven't but I know they'd enjoy them! My comment isn't entering...third time I have tried. My two dogs Emmie and Riley girls would love to try the duck treats. The girls have never tried duck. My dog has not tried Duck. Hank has never tried duck, but I'm sure that he would go crazy for these! Thanks for the chance to win! Our two dogs have not tried duck treats yet; but I bet they will love them. No, neither of our dogs has tried duck before. Mike has had Duck Merrick food, but not treats that I know of. Artie has tried duck before and he loves it. Thank you for the chance to win. Yup. Shiloh loves it. Wager likes it, but can't handle it (at least couldn't when it was the main protein of his food, I think he could handle it in treats). I've got nine doggies, three of which are rescues. Seven of my doggies are shelties and the shelties all LOVE duck ALOT. All of my dogs have tried duck before.... I like getting "different" protein sourced food and treats for my gang. Duck, venison and ,rabbit are three of their biggest favorites. 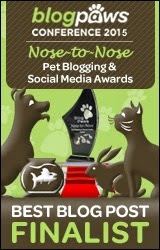 Thanks for the chance to win, I know my furkids would really enjoy these! my dogs have not yet tried it!